Uritalianwines offers in this page the best labels of Castelgiocondo winery, sold online with competitive prices that are the results of the special offers that our wine shop makes available for its customers. The name of the winery is linked to history, traditions and to the most important families of Tuscany, a region that is famous worldwide for the excellence of its enogastronomic production. Since centuries, the estate and the territory where Catelgiocondo winery rises have expressed the quality of the wines of Tuscany: prestigious reds with a great structure that are able to accompany every type of meal or that can be drunk alone. The name of this winery contributed to improve the local production, reaching the top of the excellence and receiving important international prices. These bottles are perfect to discover the most inebriating side of Tuscany and to offer high quality reds suitable for important occasions. Frescobaldi family was able to give to the wine lovers, through this winery, glasses of prestigious red wine. The history of this estate is linked to the events that characterized the territory. The castle was built around the 11th century to protect the lands that since the middle age were dedicated to agriculture and to the cultivation of grapes. The knight represented in the seal of the winery represents the careful protection that the estate ensures to the surrounding hills. Through the years, Castelgiocondo specialized in the commerce of Brunello di Montalcino, a prestigious wine that was symbol of the excellence of Tuscany. Its organoleptic features express an intense perfume characterized by undergrowth and wood, surrounded by a harmonious and elegant taste that is represented by a garnet red colour. This is the result of the great territory on which Frescobaldi family cultivated Sangiovese variety. 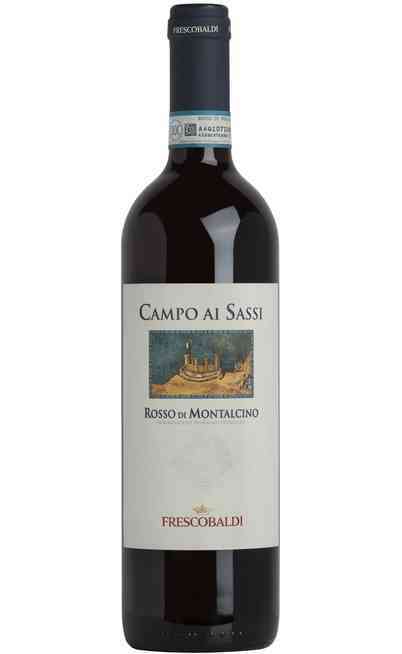 It is impossible to ignore the important presence of Rosso di Montalcino DOC, a prestigious wine that has some features in common with Brunello, but younger, fresher and more dynamic, with its rich and elegant taste and its fruity aroma. Two classic bottles that represent the local territory. What makes the reds of Castelgiocondo winery unique is a long aging that makes them perfect for important dishes. 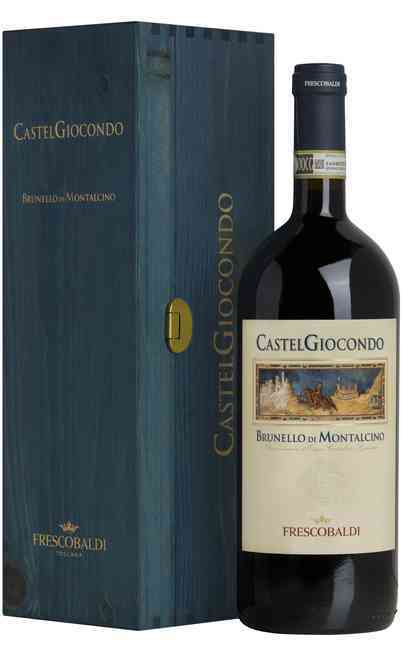 Castelgiocondo Brunello di Montalcino is able to exalt perfectly roasted meat, game, steaks but even “risotto” with mushrooms and escalopes. Thanks to its harmonious structure, these wines matches perfectly also with structures and aged cheeses. Through the years, this winery was able to distinguish itself for passion and care in the production of bottles that covers important roles in the enogastronomic panorama with their excellent tastes and their capability to accompany and exalt the most savoury dishes of the kitchen of Tuscany. You can’t miss the labels of Castelgiocondo winery, sold online on Uritalianwines. Don’t lose the opportunity to have directly at home bottles that are able to satisfy even the most exigent tasters. Take advantage of our unbeatable prices and of the special offers of our virtual wine shop.